Again! Our Maths student from ACJC scored top in his class! Congratulations! 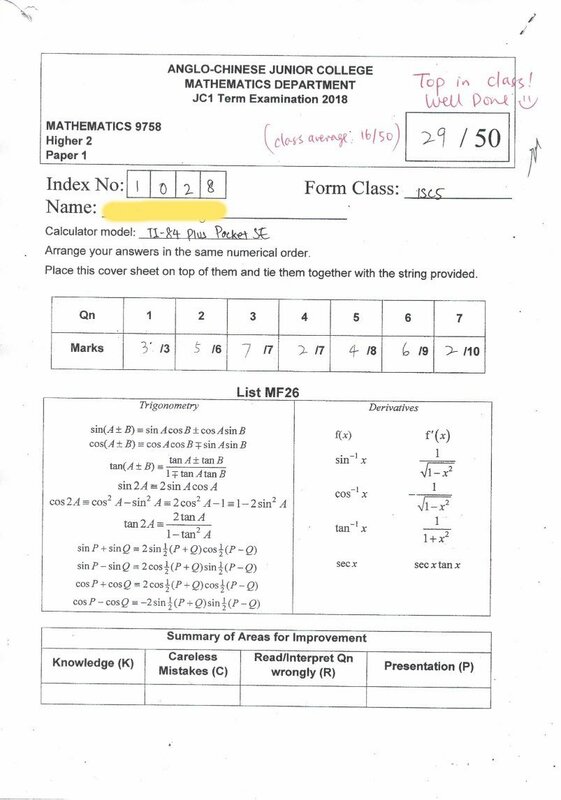 After tuition with us in Maths class, our student from ACJC improved significantly and received top score in his class. Our small group high quality tuition secure your top position in the most effective way. Future Academy is a MOE registered tuition centre led by former Raffles Girls’ School teacher Ms Chen and former Hwa Chong Institution Head-of-Department of Maths Mr Lau. We offer tailored learning programs for students and conduct tuition in small groups. We have high profiled tuition teachers, use proven tuition methods combined with regular progress updates to empower students’ successful future. Our Maths student from ACJC scored top in his class. Well done!